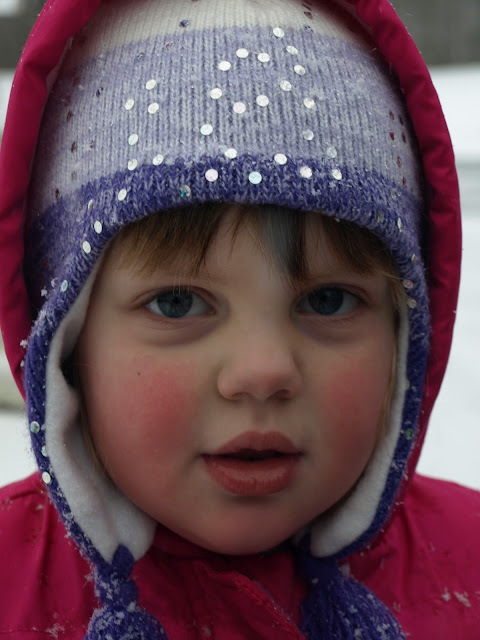 We had snow today... oh yes we did. 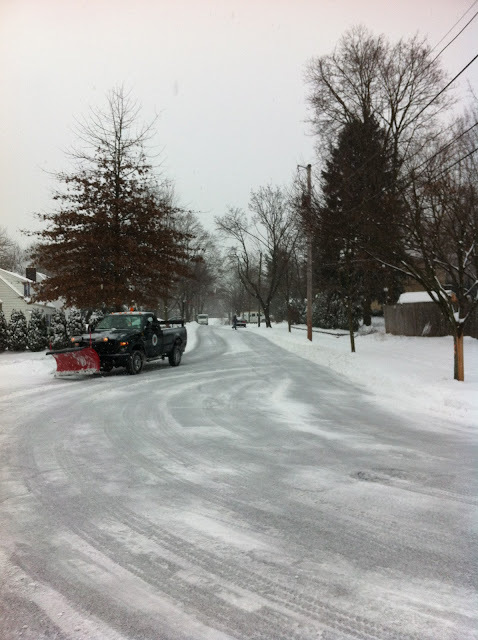 Our neighbor, Jim, works for the town... so we're always happy to see him driving down our street on a snow day! It was the first snow of 2012 (and the first snow since Halloween weekend!). 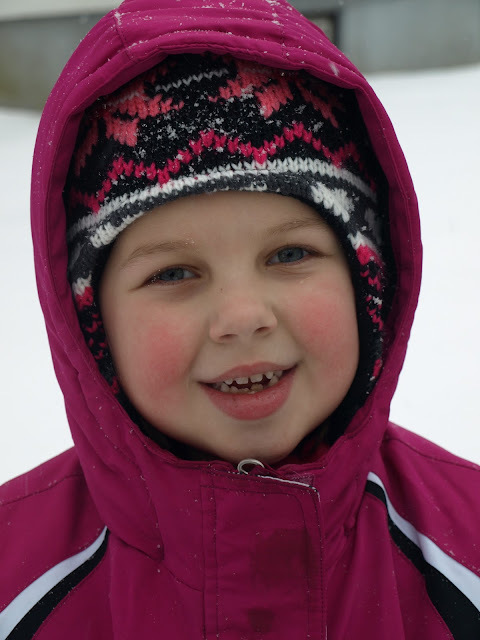 We had some happy snow angels in our front yard. 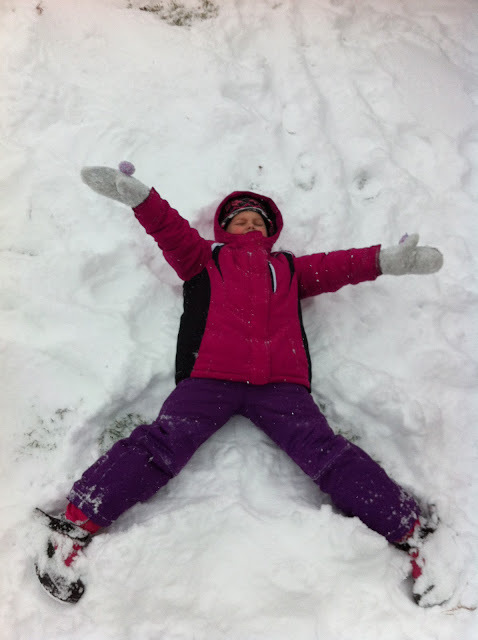 Ana's snow angels only got one arm and one leg at a time. 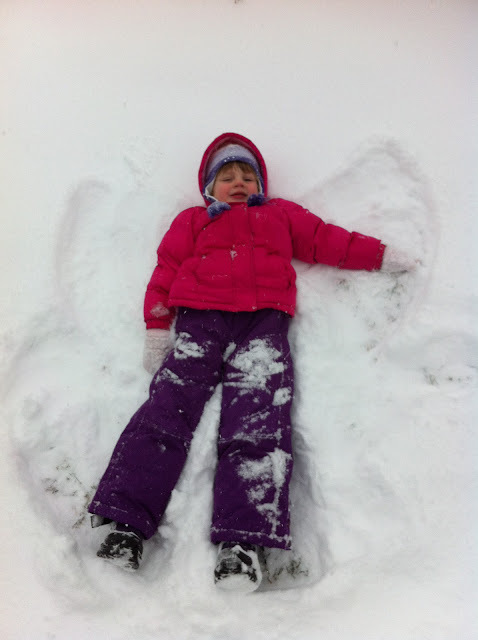 Zoe's snow angel started out looking like a falling angel. 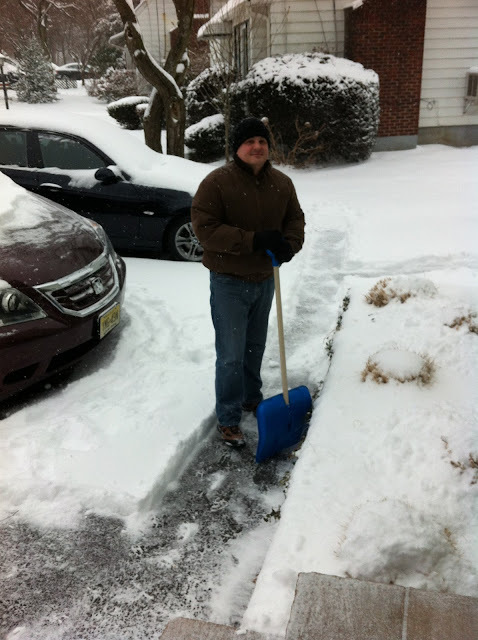 There was a lot of shoveling done by Nick. 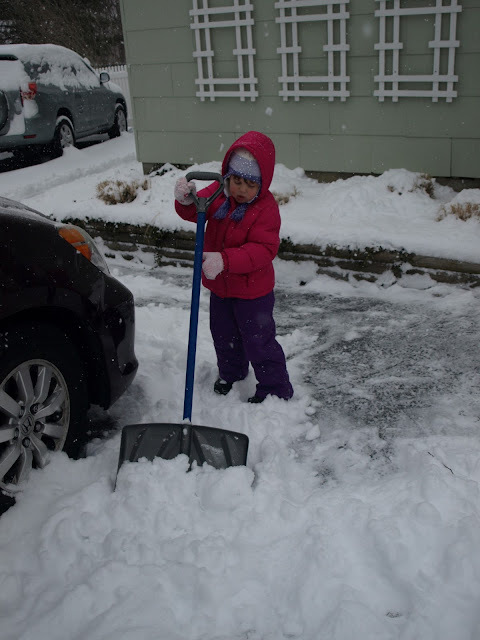 There was a little shoveling done by Ana. 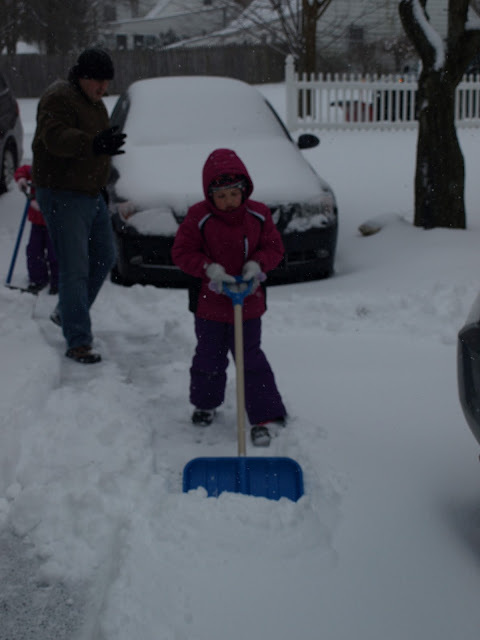 There was a little shoveling done by Zoe. There were a couple pink cheeks here and there. And there were also quite a few smiles. Oh... and then there was this. This right here is the face that says it's time to go inside for a while. Where you covered in snow today?